The parables of Jesus Christ are quite challenging at times, and today's lessons, especially the parable of the wedding banquet, is earth-shattering to many people. You better change into your full armor of God for this lesson. Please read Matthew 21:33-46 ESV before beginning free Bible study lessons, #4.02. Previous Lesson: Bible Parables #4.01. 1. Who or what does the vineyard represent in the parable of the tenants? 2. Who are the new tenants put in charge of the vineyard at the conclusion of the parable? 3. Why was a guest kicked out of the wedding supper of the Lamb? Today's lessons were revealing in different ways to me, and you'll definitely find something to learn today, as well. Prepare yourself for a challenging lesson, and humble your soul for a shock-wave of truth at the end. Let's get started. The parables of Jesus Christ many times are used to shock us with previously hidden truths. I sense you'll be quite surprised today at a few teachings. Jesus' parable of the tenants was spoken on the Tuesday of Christ's Passion week, precisely the Tuesday between his triumphal entry on Palm Sunday and Friday's crucifixion. Monday found Jesus running out the moneychangers from the temple, and Tuesday found him preaching against hypocrisy and Israel's failure at identifying God's prophets, which was epitomized by their blindness to the Messiah. The parables of Jesus Christ use familiar people, activities, and events to portray the real spiritual matters and people they represent. 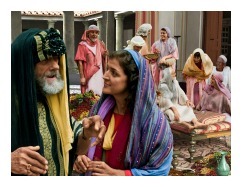 The parable of the tenants introduces the listeners to a householder who planted a vineyard. The householder represents God, and his vineyard is Israel, based upon Isaiah 5:1-7, which demonstrates God's patient compassion for those he loves. 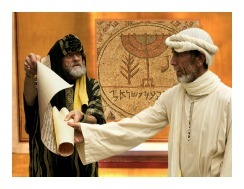 The tenants are the religious leaders of Israel. The servants are God's prophets; and of course, the son in the parable of the tenants represents God's most beloved Son, Jesus Christ. The parables of Jesus Christ usually have God at the center of the parable and the parable of the tenants is no exception. God is the householder who establishes his vineyard. 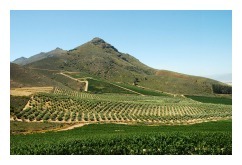 He contracted with some tenants and placed them over the vineyard and farmstead before he traveled to another country. After the fruit harvest the householder sent his servants to retrieve the fruits which were the tenant's payment to him. All seems fair, but the wicked tenants immediately beat, stoned, and killed the servants of the owner. The owner again sent servants, actually more the second time, but the wicked tenants beat and killed them, as well. The householder was greatly disturbed and sorrowful for the treatment the tenants showed him and his servants. He thought to himself that if he sent his own son the tenants would respect him, and send him home with the good fruits of the harvest. So the householder sent his one and only son. The wicked tenants saw the son approaching and quickly convened for a meeting. They plotted to kill the owner's son in order to gain the inheritance of the vineyard and farmstead. The wicked tenants did that very thing, killing the owner's beloved son. However, the response of the owner wasn't to write these tenants into his will, but to put them to a miserable death. After that, the owner leased his farm and vineyard to new tenants. 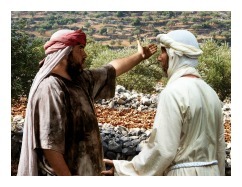 The parables of Jesus Christ sometimes include the interpretation; however, the parable of the tenants was so clear that the blinded Pharisees and scribes could understand it. They knew Jesus was talking about them. Jesus basically stated with the parable of the tenants that the leadership over his church would transfer from Israel's leaders, i.e. Pharisees, Saducees, Scribes to his newly appointed Apostles. Israel had failed to produce lasting, sweet fruits for the owner, and things became so corrupted that they even killed God's precious Son [note: this parable is partly prophecy of the coming crucifixion]. Therefore, God is ripping the authority away from Judaism, and placing his Apostles over the vineyard of his worldwide Church. God was overly patient, understanding, and compassionate with Israel, but after nearly 1500 years of stiff-necked rebellion by the leadership of Israel his patience ran out. The establishment of Christ's Church was now beginning, and the Apostles were the new leaders. Further, God's entire word, i.e. The Holy Bible, is the new rule. The conclusion of the parable of the tenants departs from the vineyard allegory to Christ's exposition of Psalm 118:22-23. Jesus, the stone, the stumbling block of Israel, has become the Chief Cornerstone of God's Church. Please read Matthew 22:1-14 before beginning the parable of the wedding banquet study lesson. There are three parables of Jesus Christ found in Matthew 21 and 22, in which he reveals those blessed souls who enter heaven's gates. The first was the two sons parable, the second was the parable of the tenants, and the third and final was the parable of the wedding banquet. The parable of the great feast, i.e. the great Supper, found in Luke 14:15-24 is similar in many respects, but is a different parable told at a different time. These three parables of Jesus Christ were told directly to the Pharisees, Scribes, and temple priests, with many common folks in the larger audience. By the time Jesus told the parable of the wedding banquet the religious leaders were furious, and immediately afterwards began the final plot to arrest Jesus (Matthew 22:15). The parables of Jesus Christ use common events to illustrate spiritual truths, and the parable of the wedding banquet is no exception. Jesus used a wedding banquet to help his listeners visualize the people who are allowed to attend his marriage supper of the Lamb (Revelation 19:9). The king represents Jesus Christ, while the servants are the apostles and other workers of the Kingdom. The king's initial guests are the Jews. The later guests are the Gentiles and Jews who respond in repentance and faith to God. The three invitations represent the gospel call first given by God, than by his prophets, and finally by John the Baptist, Jesus, and his disciples, i.e. followers of Christ including you and me. The wedding represents the marriage of the Groom and his Bride, the Church. The banquet, feasting, and fellowship represent the beginnings of God's final abode - New Jerusalem. The king issued his first invitation directly to those on the list. As in keeping with Jewish marriage ceremony tradition, the king issued a more specific invitation to the royal wedding ceremony and feast of his son. Those who were intimately invited through these first two invitations gave excuses and declined the invitation. Some invited guests became so aggravated that they killed the servants who delivered the invitations! The meal was prepared and waiting but the ungrateful invitees were not yet in attendance, so the patient king gave them one more opportunity to come by sending more servants with a final invitation. The invited guests all refused. This so badly angered the king that he commanded his troops to go and lay waste to the cities of those who refused the invitations. The first group of invited guests were found unworthy to partake in the royal wedding and feast. The parable of the wedding banquet continues with the king summoning his servants and ordering them to invite all people that they encounter. Good people, bad people, every type of person one can possibly imagine filled the banquet hall. It was exciting for all the unexpected guests who found themselves at a royal wedding ceremony! The king was pleased with the crowd; however, he noticed one person who wasn't wearing the proper wedding attire. All in attendance were granted proper robes for the ceremony and feast. But, this man had no response to the king's inquiry, because he obviously rejected the beautiful robe. Therefore, the man was bound and then tossed from the wedding feast into the outer darkness. The parable of the wedding banquet implies that the remaining invited, attending guests shared a wonderful and joyful meal. The parables of Jesus Christ always contain spiritual messages, even though they are veiled in everyday language and figurative speech. The parable of the wedding banquet's main message is that a person must accept God's invitation to join the Kingdom of God. If resistance, though, is practiced repeatedly by the invitee, the King's patience will dissolve into anger and wrath. The invitation will then be issued to another person to fill the seat. God's patience is tremendous, but it runs out, and then one discovers the terrible nature of God's wrath. What of the man who lacked the proper attire, who was tossed out of the feast by the King? That man was representing the people who hear the invitation, but do not heed the conditions of the invitation. This is tough teaching from Jesus. Here Jesus is graphically portraying a person who loves the invitation of the gospel, wanting to join the festivities, but who refuses to put on the robe of righteousness. This robe is freely offered to his true guests, but the guest himself must put it on. What is this robe anyway? Psalm 132:9 tells us, "May your priests be clothed in godliness; may your loyal servants sing for joy." Isaiah 11:5 says, "He will wear righteousness like a belt and truth like an undergarment." Finally, Isaiah 61:10 shares this beautiful picture of a true wedding guest, "I am overwhelmed with joy in the Lord my God! For he has dressed me with the clothing of salvation and draped me in a robe of righteousness. I am like a bridegroom in his wedding suit or a bride with her jewels." This figurative language in the parable of the wedding banquet helps us picture our part in attending the marriage supper of the Lamb. We are called to "put off" our old clothes and "put on" our new clothing. Help us understand this truth, Lord. Please see the inspirational Bible verses below to read the Apostle Paul's guidance for our preparation for the supper. 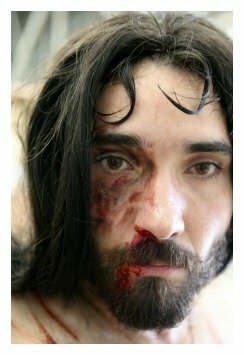 Parables Of Jesus Christ - Grasp This! The parables of Jesus Christ are mostly intended for the growth of all Christians; however, the parable of the tenants really exhorts Christian leaders to embrace their position of authority within the Church. Christian leaders are to produce sweet fruits that please God the Father. Christ is the head of the Church, and Christian leaders are the new tenants who are expected to produce annual bumper crops from God's own vineyard. We Christian leaders are not the owners, but caretakers and farmers of the vineyard. Failure to produce fruit is vital, and Christian leaders are held accountable by God. One who stumbles on the Rock of Jesus Christ will be put to shame, there is no doubt (Luke 20:18). Followers of Christ are all called to do their part in tending the vineyard. Let's all fall in line behind the Head of the Church, Jesus Christ, and work together to make God the Father proud of our efforts. Final Judgement is coming soon and you want to be prepared. The parable of the wedding banquet reveals that many are called to the wedding supper of the Lamb, but few are chosen to actually remain for the banquet (Matthew 22:14). Wow! That lesson got my attention, how about you? Those who love and follow Jesus Christ actively must know these two critical teachings: 1) We respond to Christ's invitation to salvation by repentance and faith; and, 2) We attend his great feast after the wedding ceremony only if we adorn ourselves in his robe of righteousness. To clarify, and to eternally punch this lesson into our minds and hearts, the teaching can be summed up like this. Repentance and faith begin your journey to the wedding ceremony, but obedience and service qualify you to remain for the great feast of the Lamb. The full gospel of Jesus Christ is this: Repent, believe, obey, and serve Jesus Christ your entire life. Do NOT presume upon heaven based on faith alone. This is hard, deep teaching, but very real, and you have to deal with the Truth who spoke it. Therefore, repent, believe, obey, and serve. Without those critical elements in your life, you should plan on perishing in outer darkness. 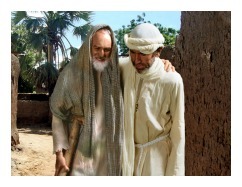 Next Lesson: Parable Of The Prodigal Son #4.03. 1. What does Apostolic Authority mean to you after studying the parable of the tenants? 2. The parables of Jesus Christ often surprise us with bold truth. What was the greatest truth you learned from today's lessons? How will it affect you in the future? 3. The man in the inappropriate attire represents people who respond to the gospel properly, but fail to fulfill their duties. What should the Church do to people who don't grow in righteousness and do good works? Dear Father, the parables of Jesus Christ opened my eyes to new truths today. You are a God of your word, and Jesus' teachings are from you, and we will be held strictly accountable. We have no excuses. You give us the Holy Spirit to first wash and then empower us. You give us your word as our guiding truth. You give us fellow believers to strengthen and encourage us, Lord. No more excuses from my lips. I am sorry. Thank you, Father. In Christ's holy name. Amen. After sharing this Bible study lesson on Facebook or Twitter below download your Free Printable Bible Study Lessons: Parables of Jesus Christ #4.02. Please Donate To GG.com! Special Note: I'm grateful to Big Book Media & Free Bible Images, Stock Exchange, Morgue Files, and Stock Photos For Free for the use of their photos for this Parable of the Wedding Banquet and Parable of the Tenants Bible study lesson.